1095 A Form 2015 is not the form you're looking for?Search for another form here. Up next in IRS Form 1095 A. What is the purpose of the Form 1095-A? For health insurance providers, the purpose of Form 1095-A is to report certain information to the IRS about individuals who enrolled in a qualified health plan through the Health Insurance Marketplace. For the taxpayer, the purpose of the Form 1095-A is to serve as proof of qualified health insurance coverage during the tax year through one of the Health Insurance Marketplace providers. For the taxpayer, the Form 1095-A is for informational purposes only. It does not have to be filed with your tax return. However, information from the Form 1095-A is needed to complete the Form 8962 (Premium tax Credit) if applicable. Who needs the Form 1095-A? Health insurance providers who provide health insurance through the Health Insurance Marketplace need Form 1095-A. 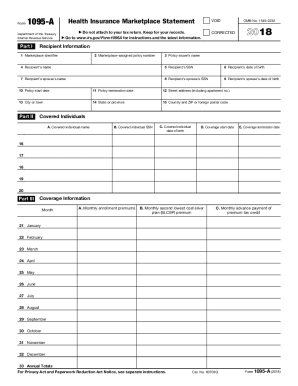 Taxpayers also need this form to serve as proof that they had healthcare coverage during the tax year. Information from the Form 1095-A is also needed to complete the Form 8962 (Premium Tax Credit), when applicable. Is the Form 1095 A accompanied by any other forms? For the health insurance provider, the answer is no. For the taxpayer, if applicable, the Form 8962 (Premium Tax Credit) must also be completed. If any amount other than zero is shown in Part III of the Form 1095-A, Form 8962 must be filed. When is the Form 1095-A due? 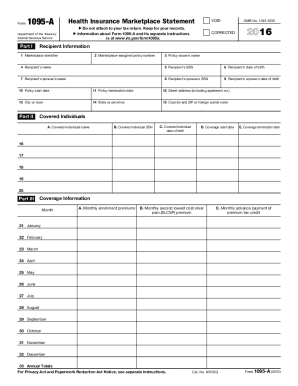 For the health insurance provider, the 1095 A Form is due to the IRS on or before January 31st. The health insurance provider must also furnish the statements to individuals on or before January 31st. How is the Form 1095 A completed? The Form 1095-A is completed by health insurance providers who offer coverage through the Health Insurance Marketplace. There are three sections to the form; Part I, Part II, and Part III. Box 15: Country and zip or foreign postal code. This section consists of 5 columns, columns A-E. In addition to the Month column, this section consists of 3 columns, columns A-C. Column A: Monthly enrollment premiums. Enter the total monthly enrollment premiums for the policy in which the covered individuals enrolled. Column B: Monthly second lowest cost silver plan (SLCSP) premium. Enter the premiums for the applicable second lowest cost silver plan (SLCSP) used as a benchmark to compute monthly advance credit payment. Column C: Monthly advance payment of premium tax credit. Enter the amount of advance credit payments for the month. What is the mailing address for the Form 1095-A? Health insurance providers must submit Form 1095 A to the IRS electronically through the Department of Health and Human Services Data Services Hub. 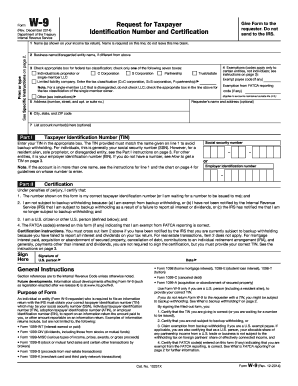 For taxpayers, the form should be kept for your own records. File IRS form 1095-A to get highest federal tax return. Learn what to do, how to file, why you got form, what to do if no 1095-A. Individuals and families with non-marketplace coverage for all of 2014. ... You will receive Form 1095-A in the mail from the Marketplace by early February. That Form 1095-A was sent in error. You shouldn t have received a Form 1095-A for this policy. Don t use the information on this or the Form 8962. Cat.